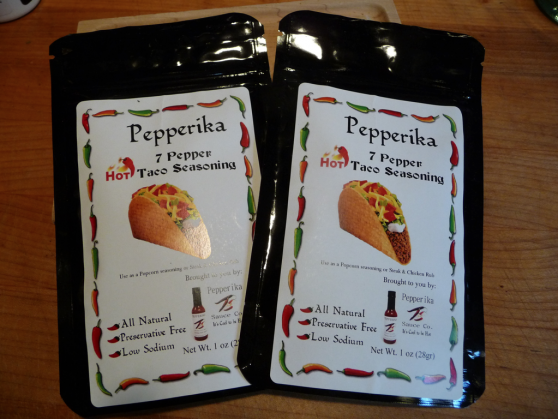 We really enjoyed writing our review of Pepperika 7 Pepper Hot Sauce. When we ordered the hot sauce, owner/creator Brian Westerfield included a nice surprise – 2 packs of his new Pepperika 7 Pepper Hot Taco Seasoning for review. I jokingly told him it would have to stand up to my own Mega’s Taco Seasoning recipe. True to the name, there are in fact 7 peppers listed in the ingredients of this little packet of taco seasoning.